International B2B E-commerce Marketplace: GO to support SMEs to recycle non-biodegradable products. A Non-Government Organization, Centre for Social Mobilisation and Sustainable Development (CENSODEV)is supporting Small and Medium Enterprises (SMEs) to recycle non-biodegradable products in the Kassena-Nankana Municipality of the Upper East Region. The NGO is doing that with support from Self Help Activation Responsibility Empowerment (SHARE) Foundation, a charitable organisation based in Germany. Part of the support package would include; the provision of micro start up credit facilities to SMEs in addition to empowering them to add value to the recycled non-biodegradable produced to make them marketable. 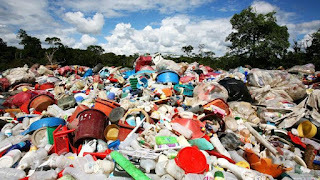 The Executive Director of CENSODEV, Mr Braimah Sanjage, who disclosed this to the Ghana News Agency in an interview during a coaching and mentoring visit to some of the SMEs, expressed worry about the spate of non-biodegradable products such as; Plastic Bags, metal products, construction waste and electronics in the region.